We now spend more time socializing online than in person! Most of us also tend to prefer communication via text or the Internet over talking face to face or on the phone. 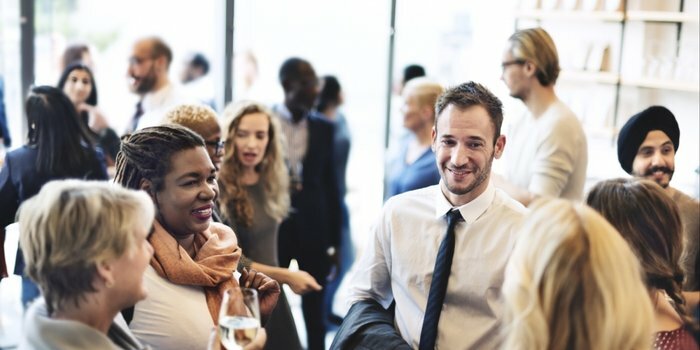 But doing primarily e-networking can cost you your business, not to mention your social skills and ability to interact in person with colleagues and clients. While being able to find your way around social media is now a much-needed skill, it is just unwise to forget about the necessity of building strong, face-to-face relationships. Relationship building is still key to the survival of any business. Steven Weisz, the founder of Delaware Casino Parties, has been using the “gaming experience” as a way to re-ignite social skills among employees as well as strengthen relationships with vendors and clients for a number of major corporations. With several university degrees in psychology and education, Weisz sees this interactive entertainment as a way for individuals to “hone their social skills”. He goes on to add, “The casino party provides an ice-breaker, giving even strangers an opportunity to begin a conversation and develop more meaningful interactions”. Weisz, along with casino manager, Barry Necowitz, hand pick their professional dealers not only for their skill at the game but also their ability to get everyone at the gaming tables interacting and having fun. Before long, everyone knows each other on a first name basis and have renewed old bonds or started new ones. Among the creative business uses for this style of an event has been team building tournament play. Departments within a company compete for prizes, having to help each other and pool their resources in order to win. Weisz also introduced an evening where the CEO and VPs of companies became the dealers at each table, assisted by the Delaware Casino Party, professional staff. This provided an opportunity for employees to be able to meet, speak and get to know management on a more personal level and in a relaxed environment. Ultimately this leads to more meaningful conversations in the workplace as well. In another instance, a corporate distributor of software had each of its vendors sponsor and staff a gaming table. Vendors were then able to introduce their products and employees got to know their representatives beyond just a voice on the phone. As a result of this new relationship building, sales were up for both the company and the vendors. With the recent trend of companies looking to interact more within their communities as well as to give back to area non-profits, Weisz has met the demand of offering fund-raising casino parties and poker tournaments. Companies and their employees can now have a fun evening while raising significant revenue for non-profits the company supports. In addition, to their operations in Pennsylvania, Delaware Casino Parties is also fully licensed for fundraising in New Jersey.